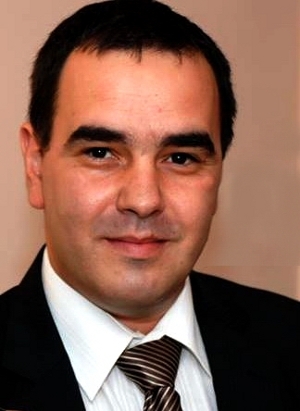 Having started the consultancy activity in one of the best companies in Romania, in 2007, Liviu Flaviu Manea is the CEO of I.F.C.P.M., a small but highly dedicated family business that had the vision of developing a new model of offering top quality consultancy services to the private sector of investments. Covering most of the structural funds concept, problems and both success and failure stories, I.F.C.P.M.’s best achievement in 4 years of activity is having capitalized the most important asset: client satisfaction and trust, thus ensuring future development of both the firm and its clients. I.F.C.P.M., acronym of Intelligent Fund Consulting & Project Management, brings together under an intelligent concept a flexible team made up of probably the best professionals from the north-eastern region of Romania, in this manner focalizing the specific needed expertise of specific investment projects, ensuring a both “personal and professional” approach to the investment process, eliminating risks and increasing the overall success rate of the investment projects. The area of expertise is virtually unlimited, however the company’s capital of satisfied clients, the vast majority from the private sector, have been covering the areas of: research and development infrastructure, food and agriculture, IT&C, industrial production, construction, tourism and recreation infrastructure, social infrastructure and business development infrastructure.